My oh my, it certainly has been a while. In fact, this blog hasn’t received love since the beginning of the year. Now I could list you a whole bunch of reasons (some valid at that!) as to where I’ve been but it’s neither here nor there. What does matter is that I’m back just in time for the summer. Now while nothing may have shown up on here, I’ve definitely kept this blog ever-present on my mind and continued to take photos, try out recipes, go out to eat and thought about food in general so that when I did return there would be plenty of content to make up for it. I’ve also endeavoured in running a tumblr featuring food that has taken up a lot of my time and effort. But while I love looking at food photography and showcasing the works of others on that blog, it’s time for me to get back to what I originally got into blogging for. I’m often left responsible to make dinner each night for my family during the summer time and while I do get a lot of feedback and suggestions from my family, I’m often left to my own devices to somehow come up with something edible to put on the table. I had been inspired by a chickpea salad photo and decided to make my rendition. Chickpeas are so delicious and healthy. If you have the chance to cook them yourself, it would be even better but I never have enough foresight to soak them in advance to accommodate for my craving. So for those pressed for time like myself, canned chickpeas work just as well. 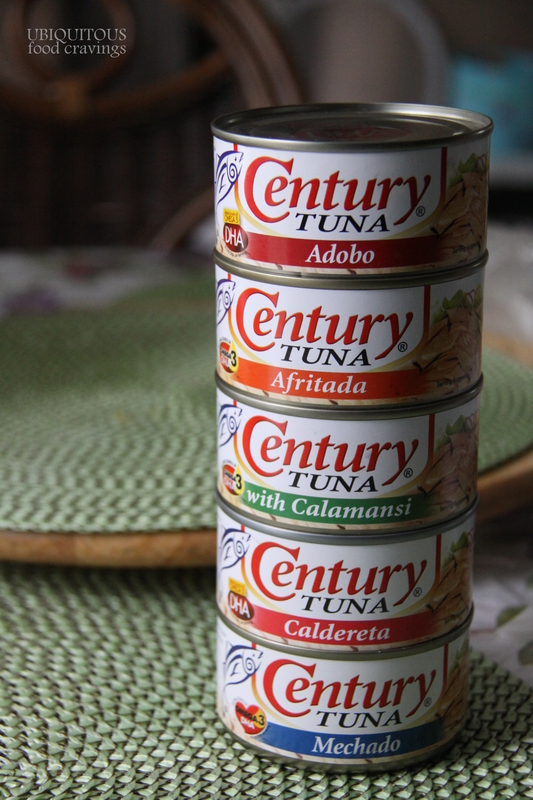 My parents had recently returned from a trip to the Philippines and they brought with them numerous cans of tuna and fish in various flavourings. In keeping with the inspiration photo, I decided to take a can of chick peas and picked one of the cans of tuna to combine to make a super quick and easy side salad. Having not previously tried any of these before, it was a tough decision as to which one would accompany the chick peas the best. 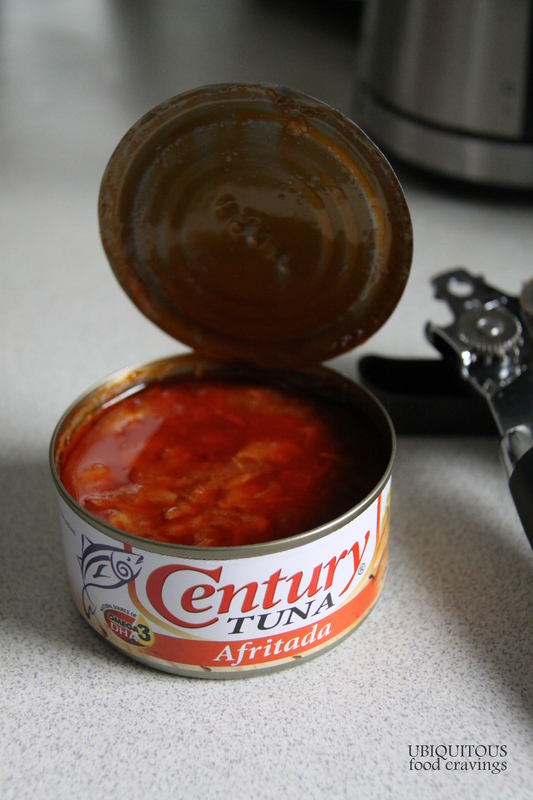 I ended up deciding on afritada which in Filipino food refers to a tomato based stew. Upon opening the can, I realized how much sauce/oil was in the can which worked in my favour as that allows sufficient coating for my chickpeas. I don’t know how easily you can find this particular product in your local grocery/asian grocery store but of course you can use any flavoured tuna. You could also use plain packaged tuna and add a dressing/sauce of your choice to toss in your salad. 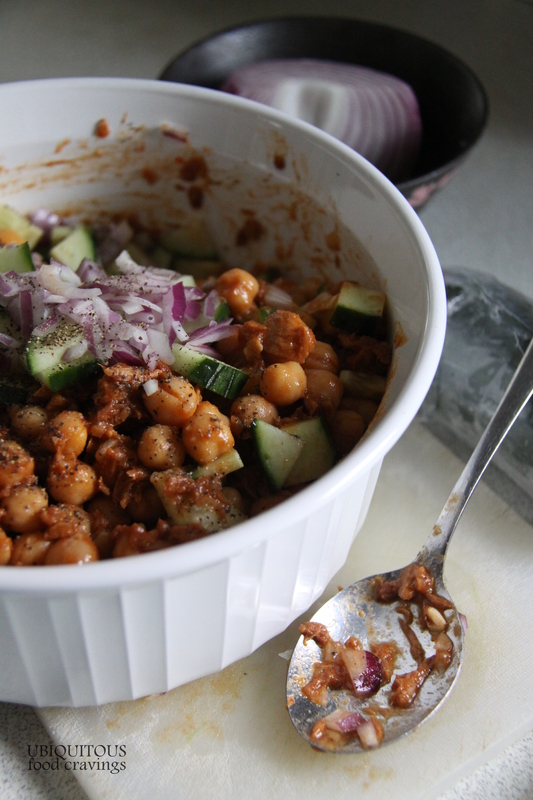 To add freshness, feel free to add whatever vegetables that you like to accompany the chickpeas. I added cucumbers and red onion to bring freshness. I considered tomatoes but since the sauce was tomato-based, I opted out. Bell peppers, corn, carrots, fresh herbs…whatever you had on hand would be great. Don’t forget to season to taste and get creative with the salad. My family had this alongside chicken burgers that night as a healthier alternative to fries or chips. I’m not necessarily a big fan of tuna or canned fish in general but I thoroughly enjoy this. I also certainly loved the ease of this recipe combination. Try it out one night and of course, Happy Eating! 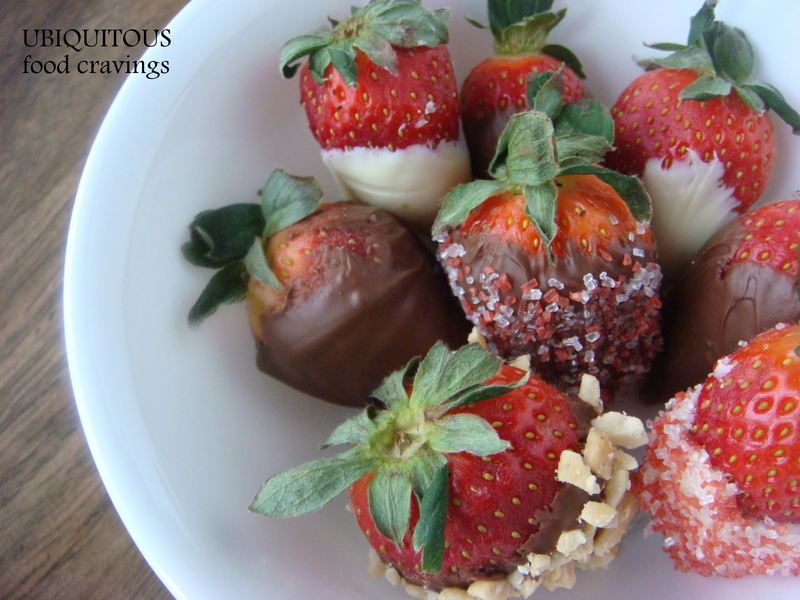 For those who don’t know, my hands-down most favourite dessert of ALL time is chocolate dipped strawberries. I’m not entirely sure when that obsession started but regardless of when it did, it stuck. What I love most about them is that the combine two spheres of desserts into one: fresh, ripe fruit and creamy, satisfying chocolate to create the ultimate dessert for me. Despite my intense love for these things, I rarely get a chance to eat them. So when strawberries were in season, I quickly decided to buy a few and put my leftover chocolate chips to good use. The process is simple. Get a bunch of ripe and fresh strawberries, wash them thoroughly and pat them dry. Then melt the chocolate however most convenient for you (I typically opt for the microwave but would just as easily set up a bain-marie if I planned to do a lot. 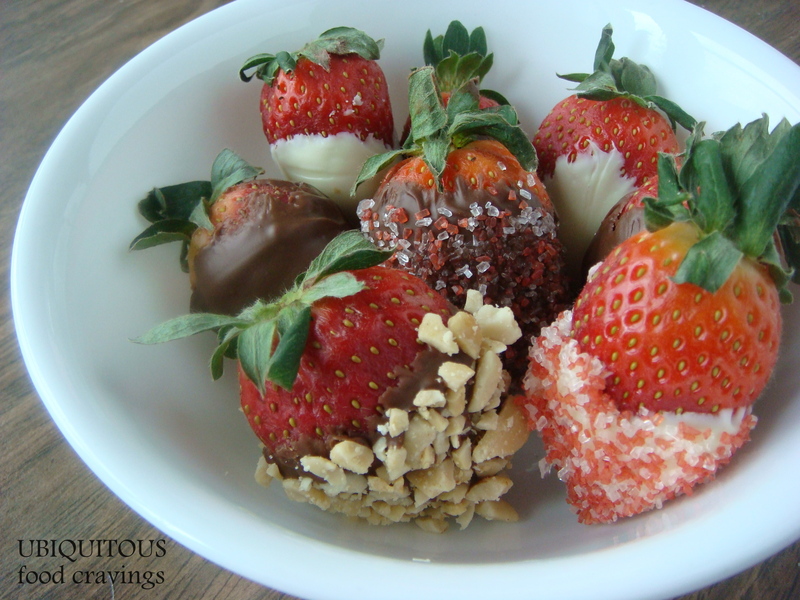 Get the strawberries, dip it in the chocolate and set onto some wax paper to cool. 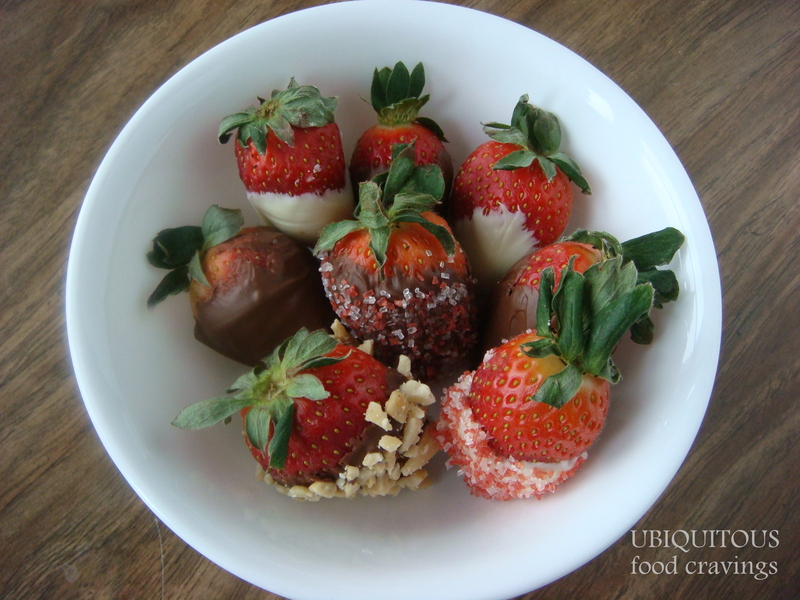 If you’d like, you can dip the strawberries into nuts or decorating sugars after the chocolate. You can choose whatever kind of chocolate that you’d like based on your tastes. This would also be a fun cooking event to do with kids. I thought that these would be particularly cute to make for your special someone for Valentine’s day. I used both white and milk chocolate and then dipped them in red and white sugar and peanuts just for a different taste. They were all equally good and I made a fairly large batch but was quickly eaten in the days after. I haven’t made it since but when strawberries are back in season I’ll definitely be picking up some to make this again. 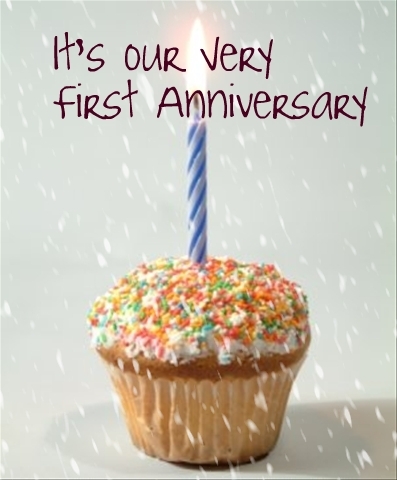 I cannot believe that merely a year ago I started my blogging journey with the creation of this food blog. Inspired by Thanksgiving cooking and the many other food blogs I came across, I created this to share my cooking experiences both in my kitchen as well as out in the world. Since then, I’ve enjoyed pockets of my own defined ‘success’ and have enjoyed every minute of this. Whether this if your first time stopping by or you’re a continued reader, I thank you for your time. I appreciate your efforts to drop by, have a read and hopefully enjoy what I have to say. I’ve heard from many lovely people in the past year, been exposed to many new opportunities and discovered two big passions of mine in life; food and writing. It is through this particular experience that I have pursued further writing opportunities and hope someday that more success will follow. It surprises me every day as my readership continues to grow that anyone comes here at all. I remember the days when even having 5 people (which I assumed were just family or friends) come by my page gave me so much joy. Now, my posts featured on other sites, people trying my recipes or asking me cooking advice, taking my restaurant reviews into consideration and belonging to an amazing food blogging community are even bigger joys that have been added to my life because of this opportunity. Funding hasn’t always come easy. I’ve been fortunate to have supportive friends and family who have chipped in when they can. I want to continue to enforce the concept that I do this purely out of love for the craft. I always question whether adding ads or sponsored posts would be appropriate and beneficial to me but I don’t want to detract from the focus of my blog which is the food and my writing. I want to thank those who have contributed financially, whether buying me my domain, cookbooks, tools or the ingredients to make the food or trips to favourite restaurants. Without you loving people, I certainly wouldn’t have a site. Unfortunately due to the expansion of my writing endeavours and the normal stresses of life, I’ve come to neglect this blog a bit but I promise that in due time I will return to my original love with full force. There’s many yummy features to come in the near future. In the meantime I wanted to mark the top 3 posts of the last year. This post is where most of my readership comes from. 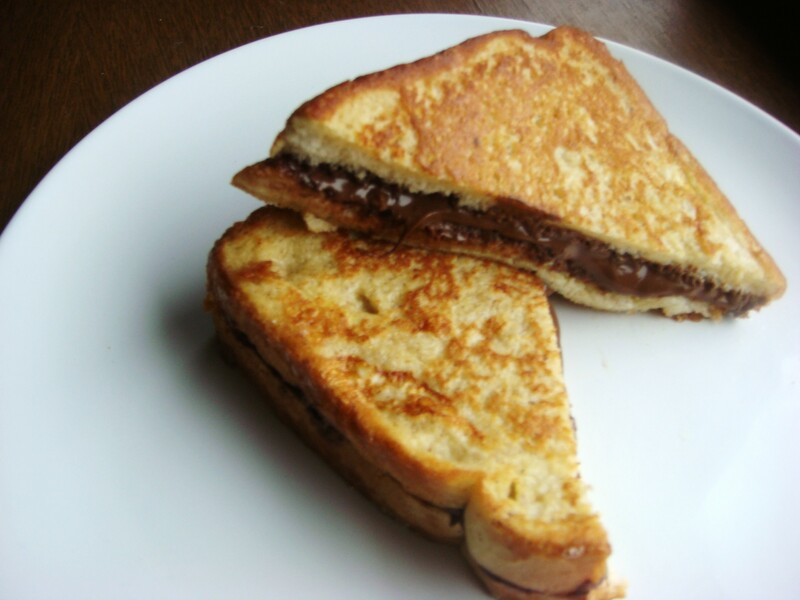 Directed from the world nutella day page which someone kindly submitted me for, I’ve received a lot of great feedback for this recipe. This is probably one of the things I’ve cooked the most in the past few years and a definite favourite of mine. It’s simple and delicious. I was initially surprised at the success of this post. I guess a lot of people are interested in knowing what the quality of service and food there is at the Rainforest. I don’t blame them considering the amount of money you might inevitably be spending at this place. I hope it has been useful to many and that I captured the restaurant accurately. Probably my personal favourite post of the past year, this too has found its own popularity. 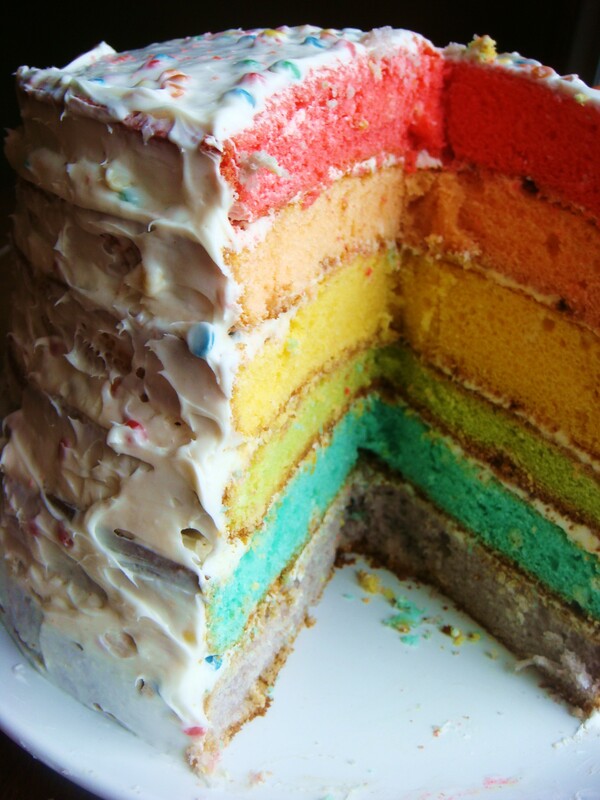 Often stumbled upon by those looking for birthday cakes for kids, this fun cake is great for all ages. Marking my leave from the teenage years, I was inspired to create this cute cake for my birthday and it seems like everyone enjoyed the idea also. I simply cannot express the gratitude and joy that I have for everyone who supports this and any of my other blogging adventures. I cannot wait to see what a new year will bring especially as I continue to work on my dedication and blog post quality. Please continue to support me and visit by often. I promise to keep this adventure going. I apologize for the lack of posts going on for this blog. It is certainly not from a lack of material. I’ve just gotten so backlogged on my photo editing that I just haven’t gotten around to posting anything on here. Also, I’ve tried to focus my attention to my other blogs which for the majority of them, post on a regular basis (every other day). So as not to leave you out in the dark, please check out those other sites of mine in the Blog Roll on the side as well as conveniently collected on my main site Jara Mae. From there you can be updated on all my blogs, my twitter and various social media sites. Please also support my site by joining the Facebook page (Jara Mae Inc) to receive updates on everything that I’m working on. In the meantime, I decided to start up a new series called Meal of the Day. 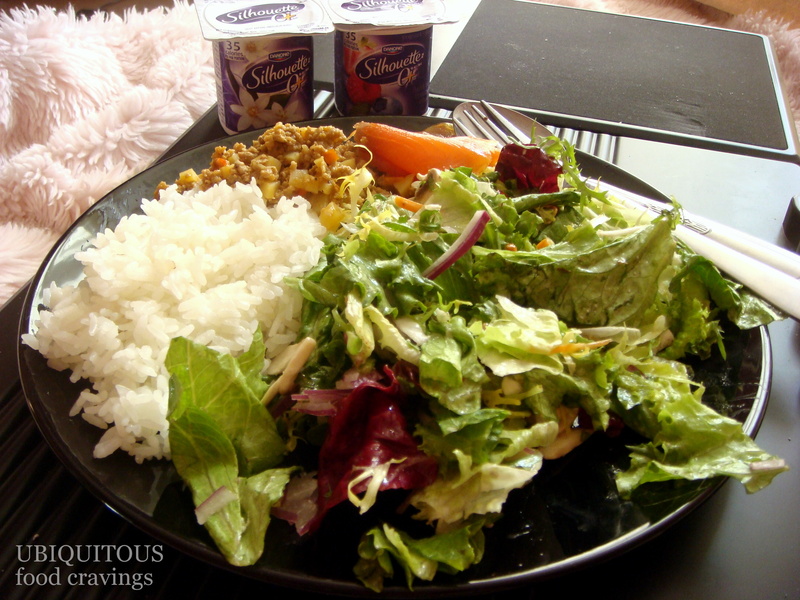 Often times I cook/make simple meals at home consisting of leftovers or food that I have around the house. Food that I wouldn’t necessarily devote a whole blog to as it normally wasn’t created by me. I think it would give some insight about what I was eating every day, maybe record some memorable meals. I will try to do them as often as possible, though don’t hold your breath on getting it on daily basis but I’ll work towards it. If you have meals that you’d like to share feel free to leave a link so I can take a look. It’s always interesting to see what people eat regularly besides all the creative recipes/dishes that you see on food blogs. 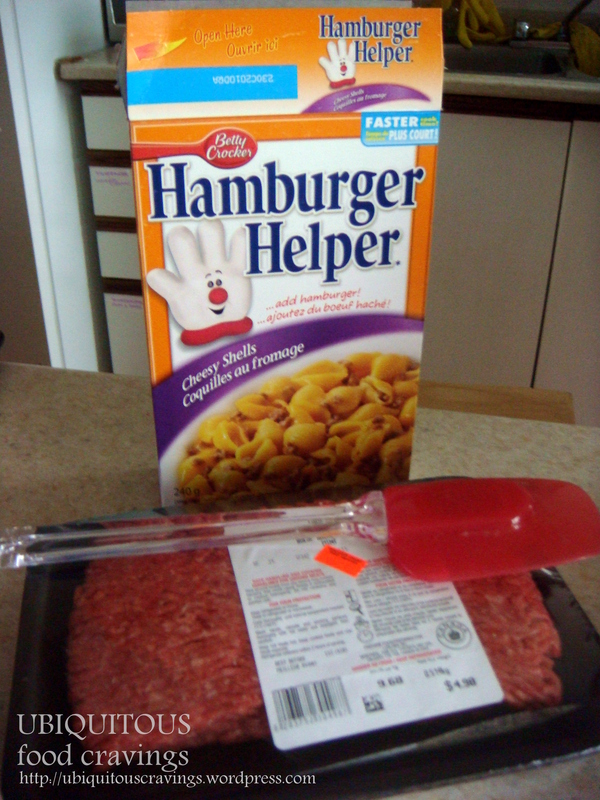 Now I know this is not anything gourmet and I’m not about to blog about some unique twist or original take on traditional hamburger helper. I’m here to simply blog about the experience of it. Now I don’t want to assume or generalize too much but based on what I’ve been told by friends, family and society and what I’ve seen via the media, I don’t think it would be too far a stretch to say that food staples such as hamburger helper and mac & cheese are the iconic food of university students and many Americans as they grew up. I never had these things. I know I am terribly over due for a post and I have several (decent) reasons. First is the fact that I went home for my Christmas vacation and although you make think that I would have more time to update since I have no school to distract me, its actual more time-consuming as there are more responsibilities and duties while at home. During the holiday season there are several parties to attend, a lot of shopping/errands to run and many attempts at cleaning the house. Second is the fact that although as readers, there are no new posts, I do work on the behind the scenes stuff. For example, I’ve really been working on generating more readership that is stable. I’ve been joining other blogging/food networks to promote the blog because my secondary goal for this blog is to gain a decent amount of readership. I think I’ve done very well for only 3 months of publication and I hope that things only get better from here on out. I also spend a lot of time uploading/editing photos. My lighting and camera quality are not always the best so I do take the time to edit photos to make them as appetizing as possible. I’m trying to do the research needed to improve my photography skills so that I can cut down on editing. So I’ve caught up on editing, done a good chunk of promotion and gained more readership so now its time to get back to what it’s all about; food posts! We’re gonna go way back to feature the main party food for this Christmas season. This is what a Filipino feast is like during the holiday season, in particular my home for New Year’s. Warning: this post is picture heavy! For the annual Christmas day party, our family friends take turn on rotation deciding who will host it. This year it was held at my uncle’s house in Whitby from lunchtime until dinner. It was a potluck event and everyone was required to bring something. My family had decided to bring shrimp & vegetable tempura. It was also our opportunity to open our gifts with everyone else. Shortly after, I fell asleep from just exhaustion of the past few days. I awoke in time to eat a little bit of dinner, picture taking with the family and then headed home. But back to the food. There were tons and I wanted to feature all of them. This was a black forest cake made by a family friend who specializes in baking. I’m not a huge fan of black forest cake, primarily because I’m not a fan of cherries. However, I was informed by my all-cake-loving sister that it was delicious. It was a beautiful cake fit for the season. This was the tempura my family had brought. 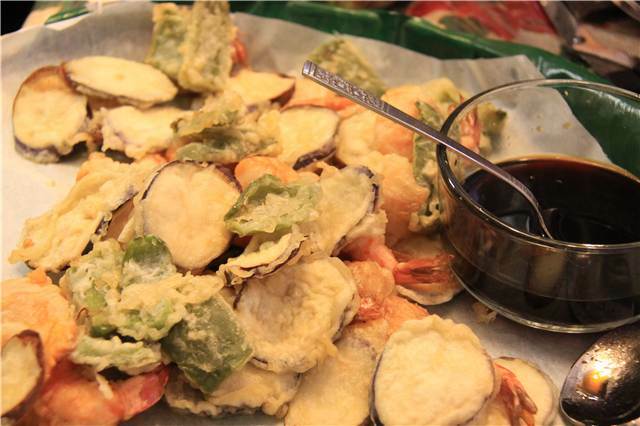 We used shrimp, eggplant, sweet potato and green peppers. It was a hit at the party and there were hardly any left overs. My favourite is always the sweet potato. It wasn’t as crisp as it could be since it was cooked earlier in the day but it was still very delicious and very easy to make. Click to see more photos! This work is licensed under a Creative Commons Attribution-NonCommercial-ShareAlike 2.5 Canada License.